The team finished their 2016–2017 season 15–0 with a 44–32 championship win. Front row from left are Dylan Shank, Max D’Alessandro, Dean Damato, Ethan Kuzy, Chase Topolski, Dylan Esser, Connor McDonald, and James Sivley. Back row from left are Coach Tim McDonald, Billy Clewell, Denis McBride, Joey McBride, Coach Dave Benson, Joe Manall, Noah Miller, Austin Benson, Mark Hepperlen, Jr. and Coach Mark Hepperlen. 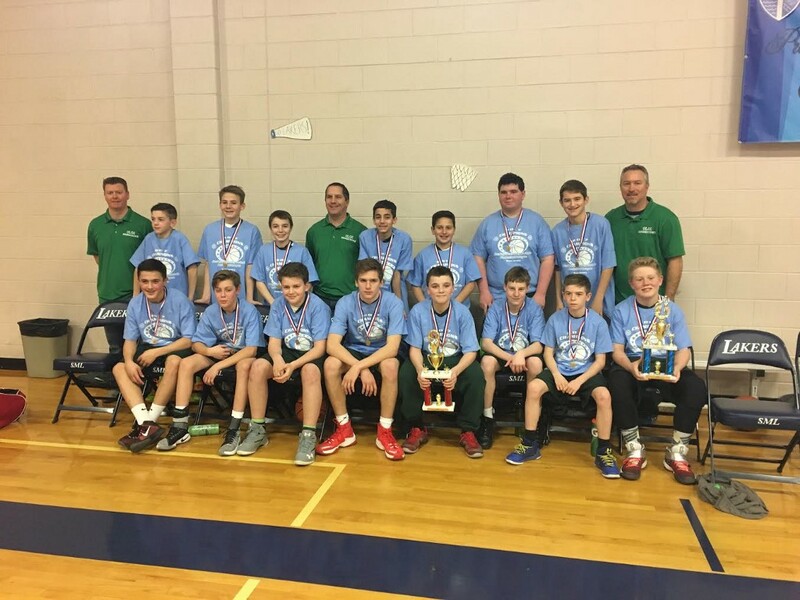 The undefeated 7th Grade Our Lady of Good Counsel boys basketball team finished their 2016–2017 season 15–0 with a 44–32 championship win over St. Paul’s School.